Directed by George Lucas. With Robert Duvall, Donald Pleasence, Don Pedro Colley, Maggie McOmie. 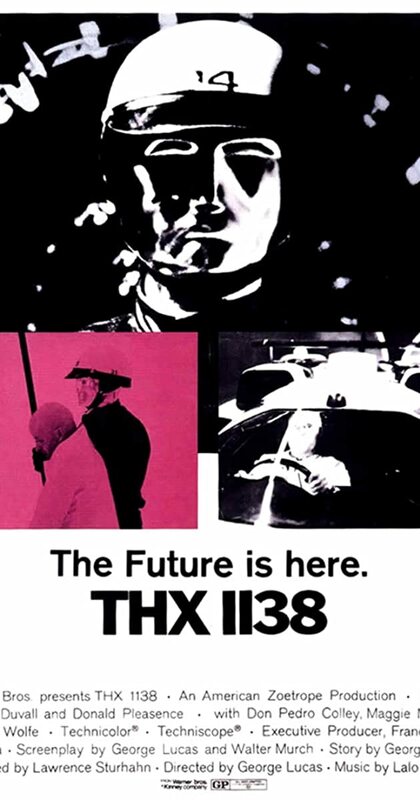 In the twenty-fifth century, a time when people have designations instead of names, a man, THX 1138, and a woman, LUH 3417, rebel against their rigidly controlled society.